** Interested in subscribing to Rabbi Haim Ovadia's weekday emails on Jewish Law? Please send an email to rabbiovadia613@gmail.com with your full name, location, and a bit about yourself. Iraqi Jewish Songs for Special Occasions, shabbat and Holidays נוסח יהודי בבל. 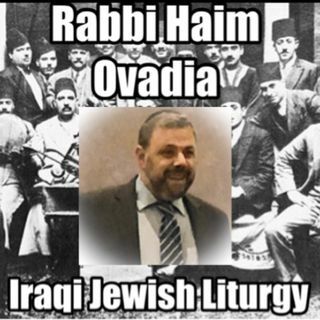 Rabbi Ovadia's parents were from Iraq, before moving to the State of Israel. From a young age, he was gifted with being taught the many beautiful tunes of his ancestors. These were used in the synagogue on Shabbat and ... See More Jewish Holidays, at home, as well as at happy and sad occasions. He has recorded this treasure trove of melodies for all those who want to learn and those who want to listen. His hope is that these tunes will connect the past to the future, and to enrich and inspire a new generation, who will carry the torch forward.